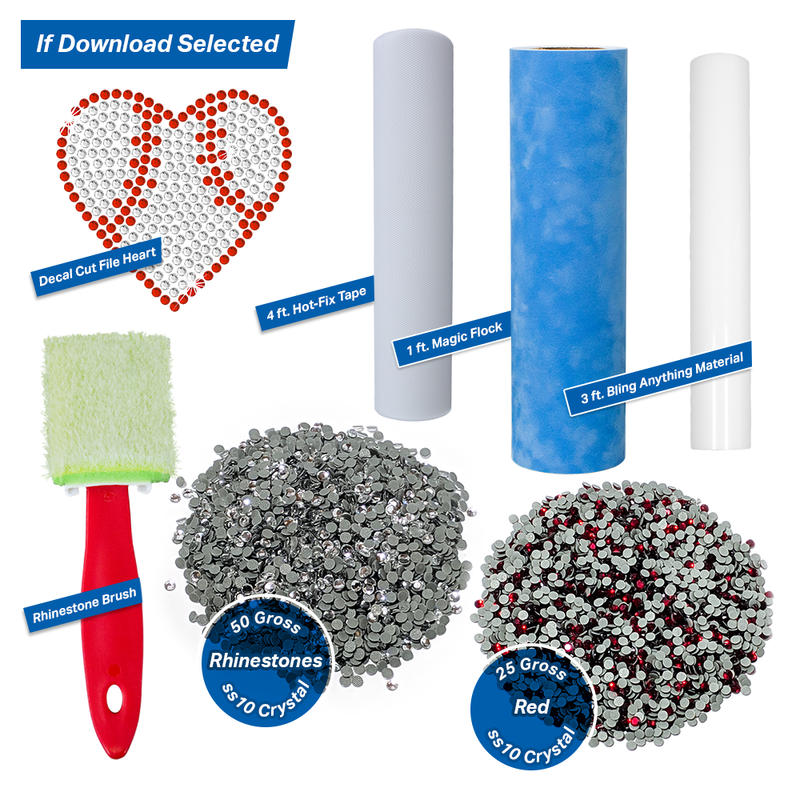 You will receive enough products in this mini kit to make 33 Rhinestone Baseball/Softball Heart Decals. Selling these decals at around $12.00ea will give you a $396.00 return on this $59.99 to $74.99 investment. It is recommended that you use a Heat Press to apply the Rhinestones to the Bling Anything Material. 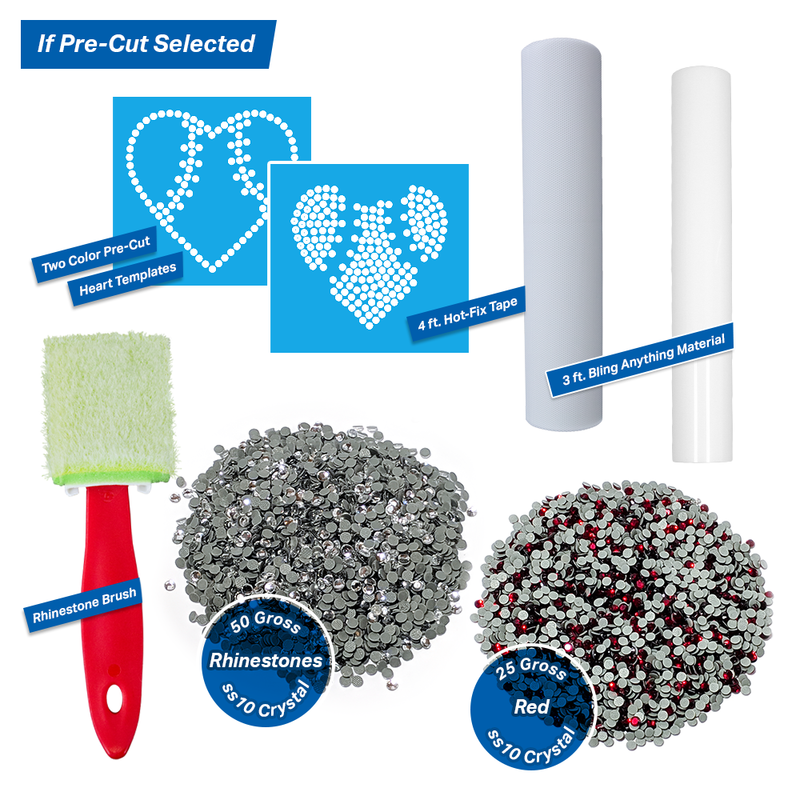 However, It is also possible to use a home iron and have no equipment required to start your rhinestone decal business.